I read a newspaper column from Kundo Koyama about how to enjoy yourself on rainy days. I’d like to share his 3 ideas with you. One of them is getting yourself a pair of good rain boots. He likes the brand “MACKINTOSH PHILOSOPHY”, and he has 5 pairs of them, from ankle boots to knee-high boots. He likes the point that these rain boots don’t look like regular rain boots. In fact he likes them so much that just having them in his shoe collection already makes him happy. And on top of that, he also enjoys the moment while waiting to use them before the rainy days. Secondly, he keeps a list of places to visit during rainy season. For example, Karuizawa is one of his places. He found the trees look more refreshing and beautiful in the rain. He also likes the smell of greens and rain mixed together in the air. Sometimes he would go to an outdoor hot spring so that he can hear the sound of rain drops. Usually there is nobody around because of the rain, so it feels like he owns the whole place. Lastly the rain always reminds him of someone special. It makes him want to contact the person. Wherever he is, it is wonderful if someone can share the special moment with him on a rainy day. In conclusion, he says that you don’t have to feel bad when it rains. If you think “Lucky!” when it rains, your life is happier. Maybe 130% happier according to him. Who is the person that I think of on rainy days? How were his ideas? Do you like them? He is such a romantic person, isn’t he? 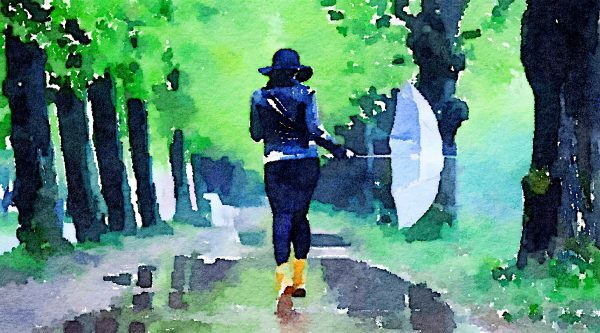 After I read this column, I was wondering who the person is when I think of on rainy days. But I couldn’t come up with any person on top of my head. I think I will have to try harder to think of the person that reminds me of the rainy days. 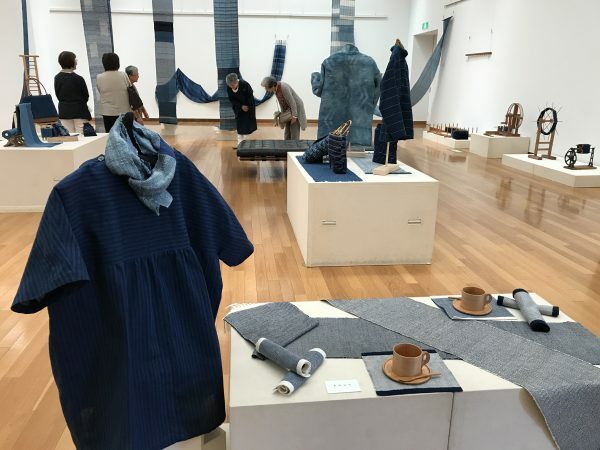 My mom and her friends organized a handwoven cloths event at Sakura City Museum of Art. 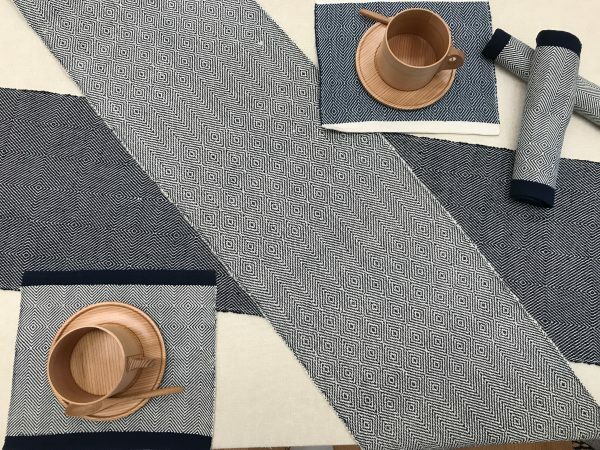 They made handwoven cloths using handlooms. 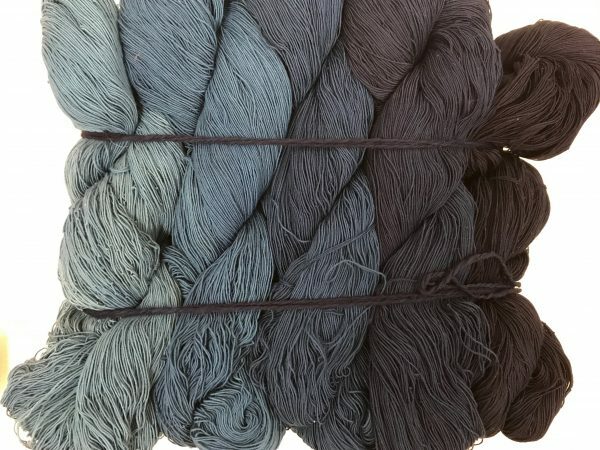 Since the yarn were dyed in indigo, the exhibits including tapestries, clothes, bags and kimonos were all in beautiful varieties of blue color. I went to the event on the last day. My mom was wearing an indigo dress which she made with her handloom. It suited her very well. Some of her works were on display. 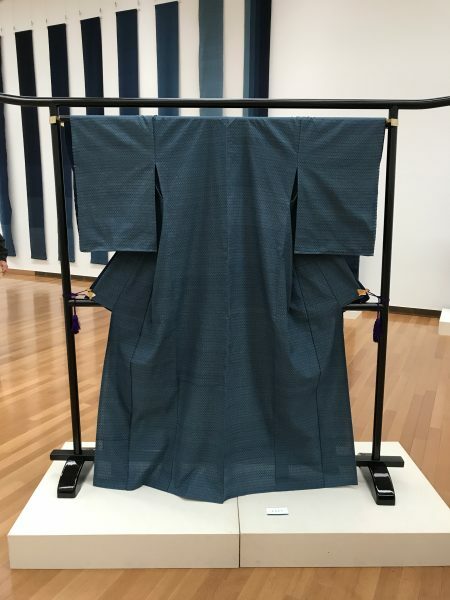 They included a kimono, a roll of cloth, some table cloths and dining mats. She made all of them by herself. Fortunately the cool kimono was made for me! I look forward to wear it and show it to her. Making all these are a formidable task and I couldn’t believe that she completed by herself. She has put in so much effort and she finally made it! Way to go! I am so so proud of you my dear mom! I want to be as successful and determined as her. I hope I can show the same attitude towards my own hobby in the future. 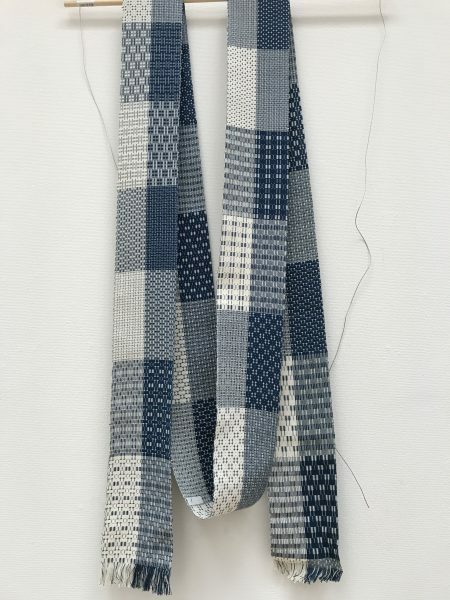 ↑”Kudenshu” is a book that shows how to weave on a loom in the local area. I had a hair cut last week. 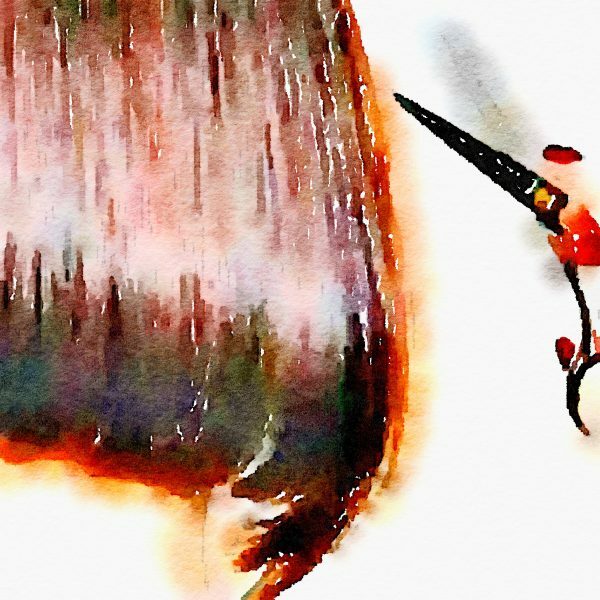 I was thinking to have a haircut before the rainy season. Since I have natural curly hair with a lot of volume, it’s hard to keep my hair tidy in the rainy season. I asked my stylist to cut a lot of my hair off. The stylist immediately pulled out his scissors from my hair. He advised me that putting up my hair would be a great match with kimono. Therefore I changed my plan. He only cut my hair for about 6cm and thinned out my hair a lot. I will have my hair cut a lot after my brother’s wedding. Until that time, I will treat my hair with a little bit patient. Anyway, Congratulations to my brother!! I’m looking forward to your wedding!! I like washing my hands especially when I like the smell of the hand soap. It makes me feel good, refresh and relaxed. I prefer flower scented soap but not sweet scented. 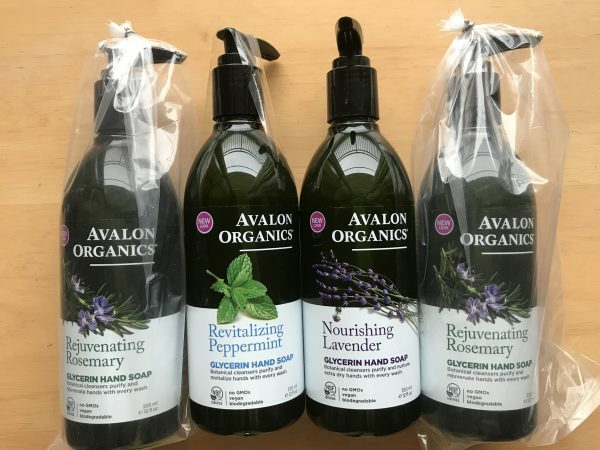 I bought a liquid soap called “AVALON ORGANICS Rejuvenating Rosemary” at COSTCO. I like it a lot because of its strong rosemary smell. But recently I was not able to find it at COSTCO anymore. Therefore I researched on the internet to find out where I can buy it. At Amazon, it was about 3500 yen (12oz). It’s too expensive. I continued my search. Finally I found a good site “iHerb”. They sell the same hand soap for only 659 yen. I decided to buy it on this site. I bought 4 bottles of hand soap, 2 rosemary, 1 lavender, 1 peppermint. Surprisingly, they gave me a first time discount $10. 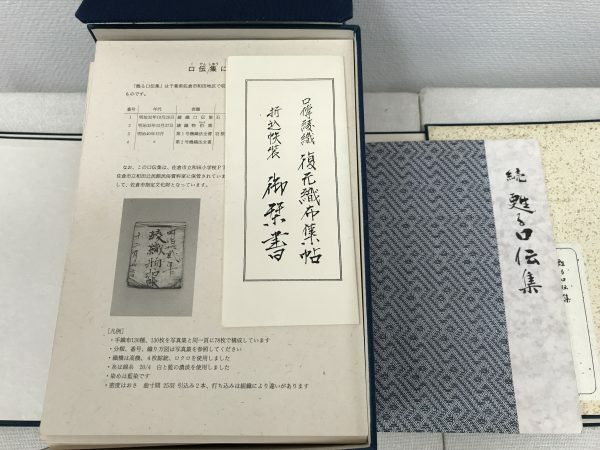 The total was only 2019 yen, including the 647 yen shipping fee. It took about a week for the items to arrive because they came from the USA directly. I will order other things in this site next time. I really recommend you because their goods are cheaper than other sites. Now we can push the pump of the hand soap as hard as we want. Moreover I am looking forward to the mint soap which I’ve never smelled before. *Disclaimer: I didn’t receive any compensation from any site. Just my personal opinion.